Google Assistant apparently has a bug. Twitter, Reddit, and Google Support forums are rife with the complaints of disgruntled users who say that voice control is not working. The issue has been encountered by the users of OPPO, Xiaomi, LG, Samsung, and Pixel devices. Google acknowledged the problem and is currently working on it. 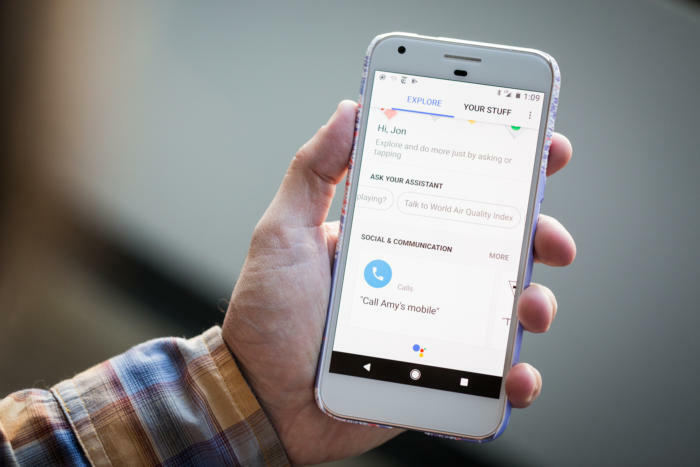 A user who goes by the name Dev Auto on Google Support Forums has said that he can no longer use Google’s voice assistant to send a message or initiate a call. The user said that he has been using the voice assistant since a year and four days ago he got a message that said, “Unfortunately, that’s not available on this device,” when he tried to place a call, The same happened when he attempted to send a message. He has tried rebooting his phone and clearing the cache but nothing helped. Auto uses OnePlus 3T running Android 8.0.0. Some users have also reported that they get a message saying that the feature isn’t supported in their language. Similarly, a user who goes by the username @Maneet96 on Twitter said that his Google Assistant is not working. He said that when he tries to activate the Assistant, he is asked to activate a voice match and then told that the system already knows his voice. It is a frustrating loop. Other users have also reported similar problems. Some models are simply not responding to “Ok Google” and users are unable to access the options to turn on voice control. Google is currently trying to resolve the issue. Other methods of activating the voice Assistant such a long pressing the home button are still working. Some users have also claimed to resolve the issue by simply uninstalling the updates for the Google App.